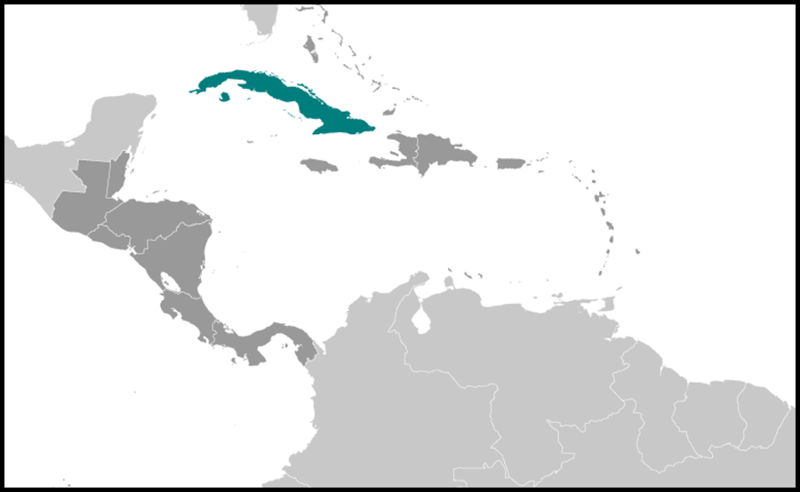 The PCC's Political Bureau is the party's leading decision-making institution, and Cuba's most important decision-making entity (see fig. 8). The Political Bureau meets regularly to discuss the nation's key issues. Membership on the Political Bureau best identifies Cuba's most powerful leaders. Political Bureau members typically have responsibilities in other spheres of public life as heads of key provinces, military commands, mass organizations, or major PCC posts. Three leaders have led the Political Bureau since 1965-Fidel Castro, first secretary of the PCC; Raul Castro, second secretary of the party; and Juan Almeida, chief of the party's disciplinary commission. From 1965 through 1980, no member was ever dropped from the Political Bureau, although its membership expanded from eight in 1965 to thirteen in 1975 and sixteen in 1980. By the time of the Third Party Congress (1986), death and voluntary and involuntary retirements had led to a six-member reduction (37 percent) from the Political Bureau's 1980 membership; meanwhile, four new members joined the bureau in 1986, leaving its membership at fourteen members. The Fourth Party Congress (1991) witnessed the most dramatic change in membership in the Political Bureau since its founding. The Congress wanted to promote a younger and more dynamic leadership. Six of the members (43 percent) left the bureau during the Congress. Because the Political Bureau's size had expanded to twenty-five members, seventeen of its 1991 members (68 percent) were new-unprecedented since the party's founding in 1965. The Fifth Party Congress (1997) dropped nine members (36 percent) of the Political Bureau and added only eight new members, Thus, the Fifth Party Congress's Political Bureau (twenty-four members) suffered from less volatility than had its predecessor, as would be expected from a leadership that felt more politically secure. By the conclusion of the Fifth Congress, only the Castro brothers and Almeida had served continuously on the Political Bureau since 1965, and only Jose on Machado, party organization secretary, had been a member since 1975. 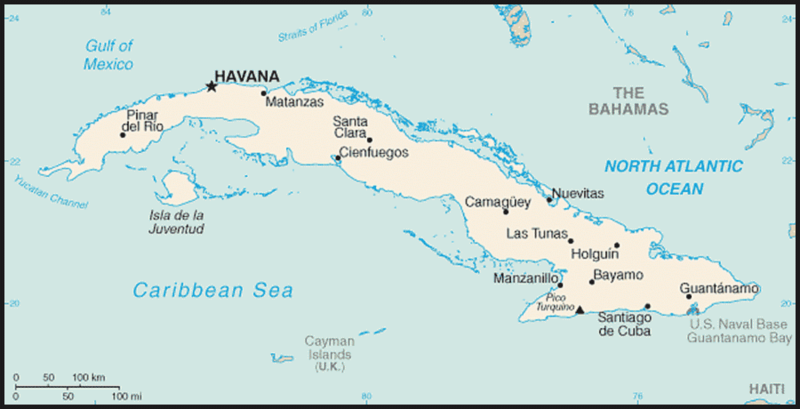 The next two longest-serving members, both since 1986, were Army Corps General Abelardo Colome Ibarra, minister of interior, and Esteban Lazo, who had served at various times as party provincial secretary in Matanzas, Santiago de Cuba, and Ciudad de La Habana Province. In sum, only six of the twenty-four members of the 1997 Political Bureau had been members of Cuba's top decision-making organ before the collapse of the Berlin Wall in 1989. Cuba's top leadership, therefore, has already undergone an important transition at the levels just below the Castro brothers and their closest associates. Most Political Bureau members in the 1990s are themselves the product of a transition that took place under the communist political system. They do not count on Soviet subsidies. They do not count on external military support. They do not expect to be engaged in military or other foreign expeditions. They are much readier to experiment at home with various economic policy changes. They are younger. The median birth year of the 1997 Political Bureau was 1943; six were born after the assault on the Moncada barracks on July 26, 1953. They expect to have a political future in Cuba regardless of the name of the nation's president or the form of its political regime. The transition among Cuba's political elite is already underway. In 1991 three women belonged to the twenty-five-member Political Bureau; that number dropped to two in 1997. In 1991 four military officers on active duty belonged to the Political Bureau; that number rose to five in 1997. In 1991 five of the provincial first secretaries belonged to the Political Bureau; that number rose to six in 1997. The post of provincial first secretary is perhaps Cuba's most challenging position, for all subnational responsibilities fall on the persons occupying these posts. Not surprisingly, three of the five provincial first secretaries from 1991 were dropped from the Political Bureau to be replaced by others. In the judgment of their superiors, the dismissed first secretaries were poor managers. In contrast to previous decades, in 1991 Carlos Lage, secretary of the Executive Committee of the Council of Ministers, was the only civilian minister on the Political Bureau. The PCC leadership clearly understood that its problem in 1991 was eminently political: how to survive the collapse of European communism and retain the support, or at least the forbearance, of the Cuban people. By 1997 three of the Political Bureau members first chosen at the previous party congress had switched jobs to become government ministers: Alfredo Jordan Morales, minister of agriculture; Abel Prieto Jimenez, minister of culture; and Roberto Robaina Gonzalez, minister of foreign relations. They were joined by Marcos Portal Leon, minister of basic industries. Division General Ulises Rosales del Toro became minister of the sugar industry, although he remained formally on active military duty. In 1997, with six out of twenty-four Political Bureau members serving also as members of the cabinet (along with FAR Minister General Raul Castro, Interior Minister Army Corps General Abelardo Colome, and President Fidel Castro), the PCC leadership signaled a higher priority for improving the tasks of governance and in particular the economy's performance. The PCC's Central Committee, a much larger group than the Political Bureau, is made up of many key leaders from intermediate levels of responsibility. The Central Committee met infrequently in the late 1960s; for the most part, it convened only in times of crisis. The committee met more regularly in the 1970s and 1980s; the original party statutes called for a meeting of the Central Committee Plenum approximately every six months to enable the Central Committee to have an impact on major decisions. The party statutes in place since the 1997 party congress stipulate a plenum meeting at least once a year. The history of membership on the Central Committee resembles that of the Political Bureau. The 1975 First Party Congress reelected 77 percent of the 100 founding members of the 1965 Central Committee. The 1980 Second Party Congress reelected 79 percent of the 1975 full members still active in 1980; the size of the committee had expanded to 148 in 1980. The 1986 Third Party Congress reelected 61 percent. The lower rate of continuity in 1986 parallels what was happening at the Political Bureau. The size of the Central Committee remained stable at 146. In 1991 the Fourth Party Congress removed half of the members of the old Central Committee, and it expanded the size of the new Central Committee to 225. Consequently, only 32 percent of the new Central Committee members had served on the previous committee. Not only was the rate of continuity the lowest since the Central Committee had been founded, but the proportion of newcomers was the highest since the PCC's founding. The Fifth Party Congress stabilized membership on the Central Committee just as it had done for the Political Bureau. The expansion of the size of the Central Committee in 1991 had been a temporary experiment that the Fifth Party Congress reversed in 1997. The size of the Central Committee shrank to 150 members, and 56 percent of the members of the 1991 Central Committee were dismissed. The 1997 Central Committee's veterans from 1991 constituted, however, two-thirds of the membership of the new Central Committee, and accordingly the new body was far more experienced than its predecessor. The oversized and inexperienced Central Committee in place between 1991 and 1997 was the least important Central Committee since the late 1960s. Then, as in most of the 1990s, the Central Committee met rarely-in the 1990s less often than expected from the party statutes. Moreover, although the party statutes mandate a PCC congress every five years, the Fourth Party Congress met nearly six years after its predecessor. The Fifth Congress met a full year late. 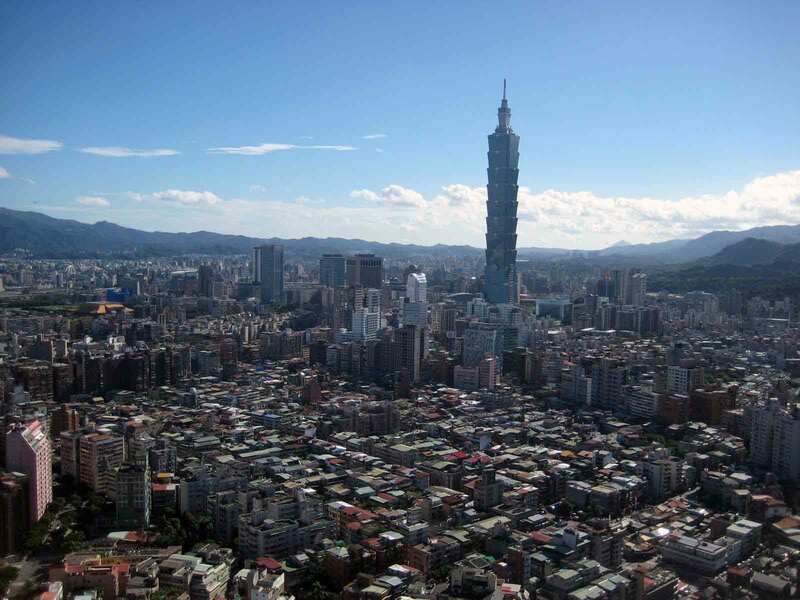 In general, the Central Committee's excessive size, inexperience, and infrequency of meetings in the 1990s marked a process of party de-institutionalization that the Fifth Congress sought to reverse, hence the reduction in size and the renewed premium on experience. One result of these processes, however, was to install and sustain a Central Committee that was younger than its predecessors in the 1970s and 1980s. The Poetical Bureau and the Central Committee finished the century with a young and energetic leadership, steeled in Cuba's troubled life in the 1990s, ready for political competition with any challenger. The Central Committee chosen at the Fifth Party Congress has an additional characteristic: 36 percent of its members have posts only in the PCC and its youth wing, the Union of Young Communists (Union de Jovenes Comunistas-U JC). This Central Committee is full of municipal party first secretaries, not just first secretaries at the level of provinces or on the staff of national party headquarters. This Central Committee represents the party elite better than its predecessors. It is less a mere assembly of those who have performed meritorious service in various spheres of life. It is no longer broadly representative of Cuban society and institutions. Its members seek to rule.